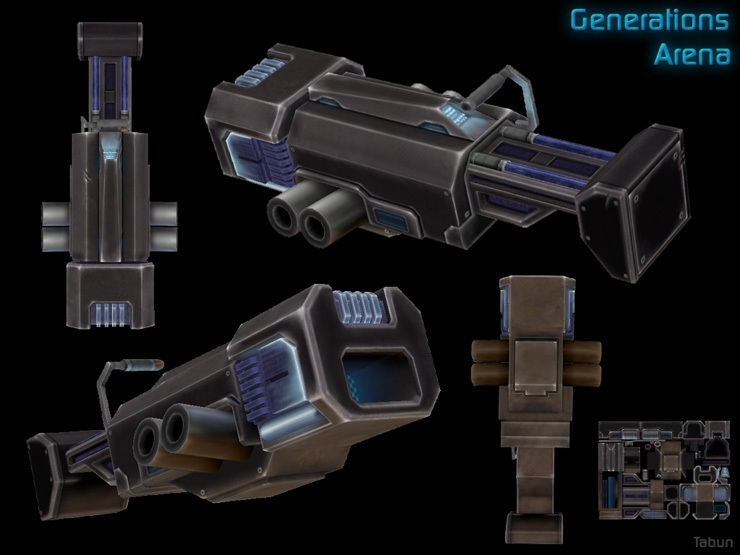 BFG10k skin for the Generations Q3A-mod. The model is kind of huge, which required a slightly different approach to the skin, since the latter should reflect its size. I'm not at all unhappy with the 'rendered' look I managed to give it.